Travel for free when Reward Points are converted to Philippine Airline’ Mabuhay Mile Frequent Flyer Program or redeem directly for Cebu Pacific and SEAIR plane tickets. 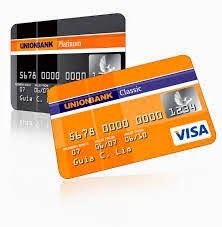 It is also nice that the Specialty Credit Card selection truly gives way for a creditor’s personal choice. Omnipass is good for those who are travelers while Shop&Talk is for those who loves to shop and to call.